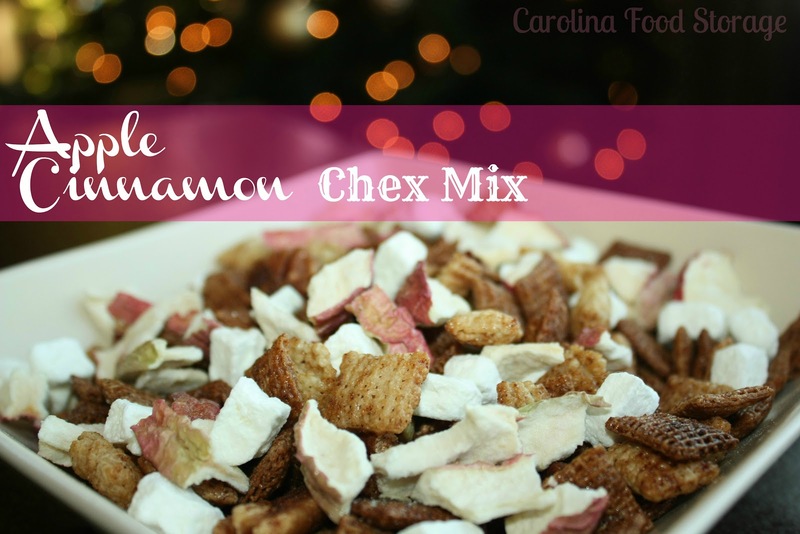 Every year around this time we will make a huge batch of Chex Party Mix. It’s one of those little things that we enjoy doing that brings back a lot of memories. While making our party mix I noticed a recipe on the back of the box that had dried apples in it and I immediately thought of using my fuji apples and vanilla yogurt bites! Both are super flavorful and the fuji apples add an awesome sweet & tart bite to the mix. In a large microwavable bowl, mix cereal and pecans. In a small microwavable cup, combine butter, brown sugar, honey crystals and cinnamon and microwave for 1-2 minutes stirring half way through until mixture is boiling. Pour mixture over cereal, stirring until cereal is evenly coated. Microwave on high for 4-5 minutes stirring after each minute. Spread mixture on a sheet of tin foil to cool. Once cool mix together with apples and yogurt bites and serve immediately. * Since freeze dried foods contain no moisture they tend to get chewy if left out. You can make this mix ahead of time just make sure to keep it in an air tight container or bag. This looks great! I would love if you would share on Fall Into the Holidays, open through Thursday! Thank you for stopping in and sharing your yummy recipe with our readers at Bowdabra's Crafty Showcase. We love seeing your projects each week. Stop in and see which blogs are featured on Friday and to link up more of your goodies on Sat-Thur. I"m back! Your yummy recipe is being featured in our Feature Friday post today! We are also inviting you to our exclusive Feature Friday Bowdabra Pinterest Board. YOu can pin anything fun to this board with the other feature friday blogs! Thanks Susie…..I have enjoyed being a part of your showcase each week. Happy New Year! !